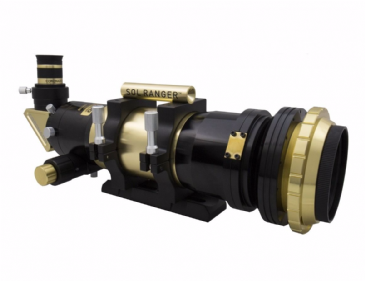 Coronado SolarMax III Hydrogen – alpha Solar Telescope! The SolarMax III (SMIII) is a 70mm F/5.7 refractor equipped with 60mm external hydrogen – alpha (H-α) filters. Available in both single-stacked (<0.7Å) and double-stacked (<0.5Å) bandpasses and either 10mm or 15mm blocking filters. What makes the SMIII standout? 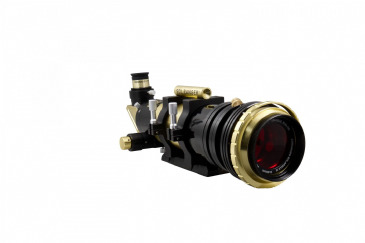 Additionally, the SMIII 70mm includes only external “True” H-α etalon filters giving higher contrast views and sharper features compared with models using smaller internal H-α etalon designs. Experience darker backgrounds, sharper features, and higher contrast with the new SolarMax III series telescope.